Fixed another memory leak in Greenfoot (caused gradual slowdown and eventual crash). Fixed a redraw bug in the GifImage helper class. Fixed some editor bugs (especially around function key actions like F4, etc). Fixed an issue with context actions being wrongly disabled in the set image dialog. Fixed some issues with window sizing. Fixed a memory leak in the Java editor (caused gradual slowdown and eventual crash). Fixed using objects from world as arguments in interactive method calls. Fixed problem which sometimes stopped inspectors from opening. Fixed a bug involving mouse clicking on cells that are larger than one pixel. Fixed several small save-the-world issues and re-added it to the main menu. Fixed documentation when double-clicking Actor/World. Re-vamped user interface (now implemented in JavaFX). Other than looking much better, this solves problems with hi-DPI displays. A large number of other bug fixes. Changed Greenfoot API to add greenfoot.Font and greenfoot.Color classes to replace the java.awt versions that we were using. See our conversion guide for more details. Added Java to Stride conversion. Several performance improvements and bug fixes in the Stride editor. Improved performance and bug fixes in "Save the World" feature. Added Paste Image functionality in set-image dialog. MSI installer will now automatically remove older MSI versions of Greenfoot when installing. (3.0.2a, Mac only) fix Mac bundle. Various usability improvements and small bugfixes in the Stride editor. Added support for multiple [tabbed] editor windows. Fixed check for read-only projects on Windows 10. Fixed many bugs including: Non-ASCII characters encoding on Windows. Add Czech, Dutch and Italian translations for new interface elements in 3.0.x versions. Requires Java 8. Windows: 7 or later, Mac OS X: 10.8.3 or later. Added support for Stride with a new frame-based editor. Improvements to the Java editor, including continuous compilation, inline display of multiple errors, and improved error message display. Automatic project compilation (removal of the Compile button). Introduced generic types in Greenfoot API. Many general bug fixes and improvements. Fixed: "Compile" in editor window for already-compiled class does not compile and leaves state as "compiling..."
New sound API for volume control. Support for multiple worlds (Greenfoot.setWorld(..) method). Built-in move and turn methods in Actor. Attempts to workaround apparent Java bug, which sometimes resulted in Greenfoot not responding to keyboard input (on Windows). Fixed bug: Newly created projects did not have the directories 'images' and 'sounds' created automatically in the scenario directory. Fixed bug: Naming a class 'Object' resulted in incorrect rendering of the class browser (classes were not displayed). General improvements of the class browser's ability to handle rare cases (cyclic inheritance for instance). Fixed bug: Export to application failed with an exception. Fixed bug: Could not open documentation for Actor and World. Greenfoot project files can now be associated with the Greenfoot application, so that you can open a scenario by double clicking the scenario's greenfoot.project file. Removed 'greenfoot' directory from the scenario directory. Improved the time it takes to export to the Gallery. Improved performance for scenarios that do not use the Greenfoot collision detection methods. ... and a lot of minor bug fixes. Fixed problem with Actor and World appearing as not compiled when upgrading a scenario created with a previous version of Greenfoot. Fixed bug in Greenfoot.delay(): It didn't delay at all when call interactively. Made a few methods and fields in the World class package protected. They were accidently made public in version 1.5.0. Removed Actor.getWidth() and Actor.getHeight(). Use getImage().getWidth() and getImage.getHeight() instead. The methods stopSimulation(), startSimulation() and setSimulationSpeed() in the Greenfoot class have been renamed to start(), stop() and setSpeed(). Added callback methods to detect when execution is started and stopped: World.started() and World.stopped(). Made Greenfoot case sensitive when dealing with names of sound and image files. Most intesection tests now correctly use the rotated bounding box of actors. Actor.getObjectsInRange() now uses cells instead of pixels as the unit for the range. Changed behaviour of World.getBackground() so that it returns an image with the same size as the world. Fixed problem with Actor and World appearing as not compiled. Greenfoot API documentation is now included with the distribution. When exporting to the Greenfoot Gallery with source code, the tag 'with-source' is automatically added. Notify user when overwriting existing scenario on Gallery. Dialog boxes in applets no longer freeze the browser. Add tags when exporting to Gallery. When "Locking" the scenario, disable moving of objects with the mouse. Option to include source code when exporting. Title-field to change the name of a scenario as it is seen on Gallery. Fixed bug: submitting scenario with a multi-line description broke the scenario. "Get" objects from inspector/method result into the world. Speed slider range is changed. Added balloons scenario to Greenfoot distribution. Added 'Inspect...' function in class menu. Bug fixed: Invoking static methods does not show return values. Bug fixed: Inspector does not display static variables. Bug fixed: Keypressed not properly re-initialised on restart. Bug fixed: Clicking an actor does not always return top most actor. Mouse support added to the Greenfoot API. This might break existing scenarios that are using the mouse. Setting the paint order works for subclasses as well. Changed default background and foreground colour for GreenfootImage. Method added to specify act order of objects. Changing the world background image through the GUI updates the instantiated world's image. Bug fixes for Mac OS Leopard. Bug fixes in sound support. Greeenfoot no longer quits when closing last scenario. Opening of recently opened projects. Actors getWidth() and getHeight() can now be called from the Actors constructor. Better handling of laptops going into sleep mode, and changing network connections. Click-order of Actors in the world will always select top most Actor. API-change: Greenfoot.delay(int) takes a parameter to specify how long to wait. API-change: added act() method to World. Export to "MyGame" web site added. Focus problems with controls fixed. "Export" warning on Windows removed. Fixed inconsistency in compile dependency behaviour. Changed collision detection algorithm (performance improvements). Fixed "Pause" button in applets. Method added to specify paint order of objects. 'Export' function added to export scenarios to stand-alone applications and web-based applets. Attempt to place actors out of world bounds does not throw exception anymore. Support for multi-user systems (concurrent execution of multiple Greenfoot instances). Templates for new classes user configurable (in lib/greenfoot/templates). Inspectors are updated when values change. New API method: added Greendoot.delay() (causes the current thread to sleep for a while, according to the position of the speed slider).  API change: renamed Greenfoot.pauseSimulation() and Greenfoot.resumeSimulation() to Greenfoot.stopSimulation() and Greenfoot.startSimulation(). Classbrowser correctly reflects changes if a class changes superclass. Changed how objects are added to the world. Added a Greenfoot class to interact with the environment. Images can now be selected for a class from the greenfoot UI.